Several years ago, on the way back from a family reunion in Tennessee, we stopped off at the Virginia Safari Park in Natural Bridge, VA. 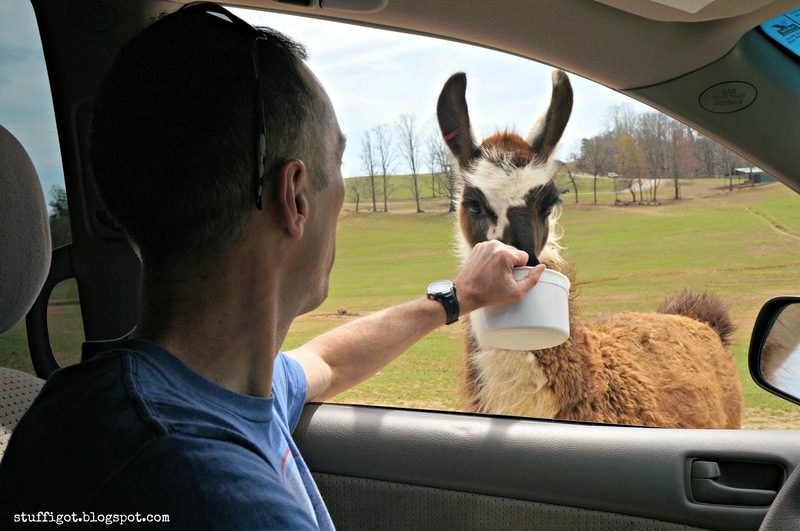 It's a drive-thru zoo where you can see, pet and even feed a variety of different animals, including emus, deer, llamas and camels. My kids enjoyed it, but they were still pretty young (2 and 5) and they didn't really remember too much about it. 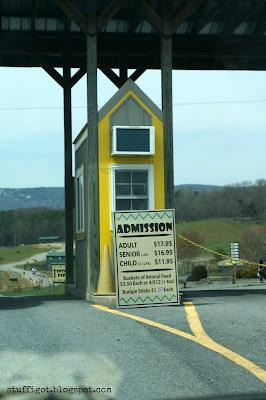 So, this past Spring Break, we thought it would be fun to visit again. My older kids are now 11 and 8 1/2 and we figured they would have a better idea of what was going on and could even feed the animals themselves. My younger kids, ages 5 and 2, could also have fun seeing all the animals in the zoo. 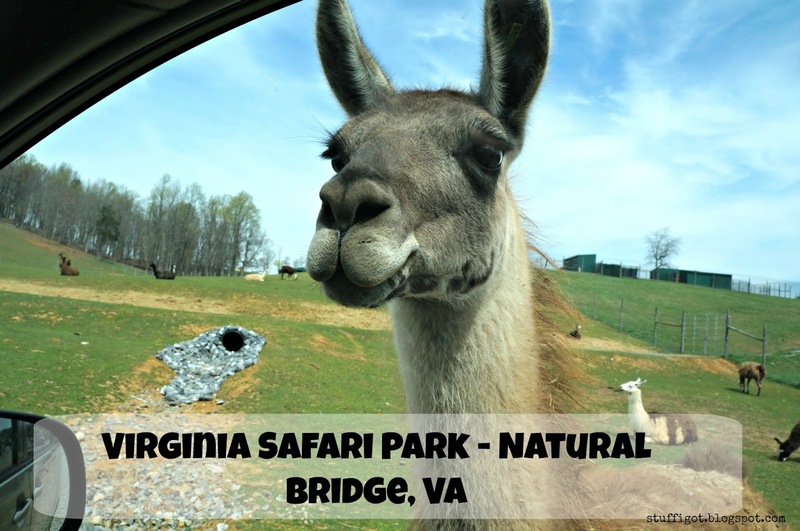 Virginia Safari Park is located at Exit 180 off of I-81 in Natural Bridge, VA. Be careful once you get to the intersection below. 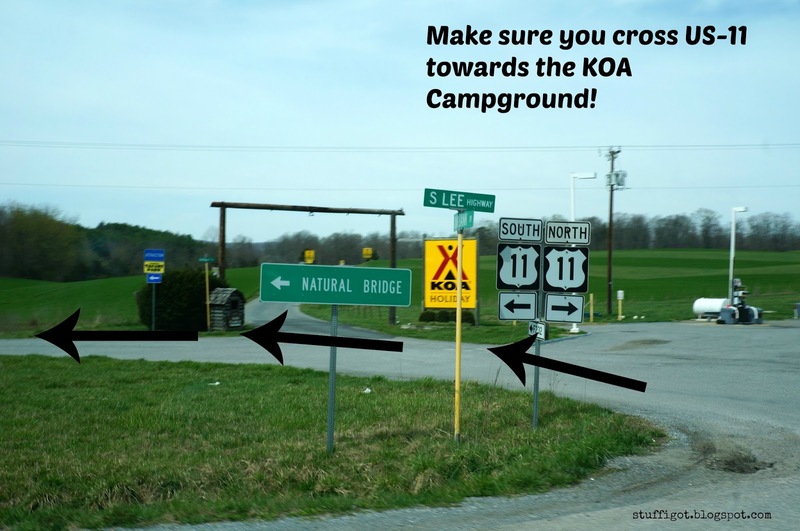 We made the mistake of turning left from the exit ramp onto US-11, instead of crossing US-11 and turning by the KOA Campground. 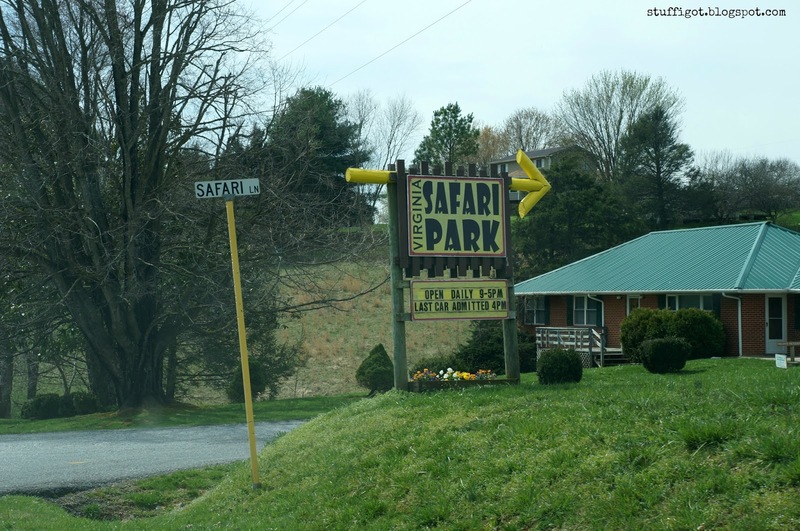 After crossing US-11, follow the signs to the Virginia Safari Park. 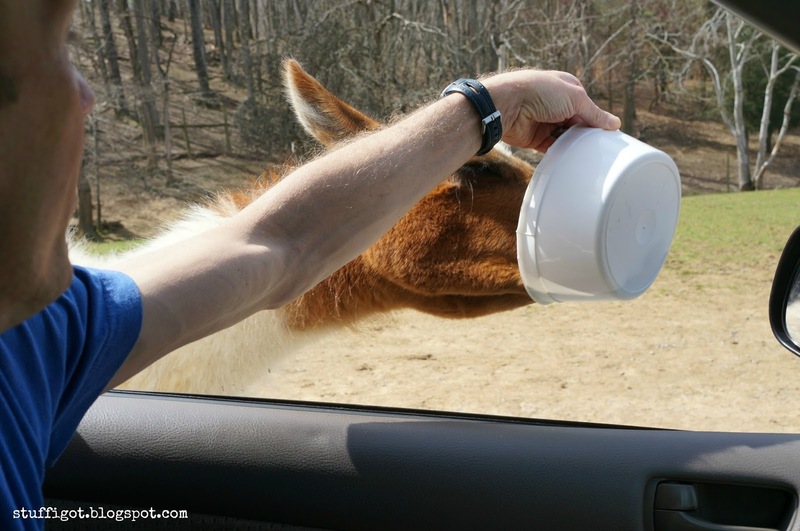 You also purchase the buckets of animal feed at the gates. Right now, each bucket costs $3.50 or you can get 4 for $12. We bought two buckets. After paying, you can drive straight to the Drive-Thru Safari. 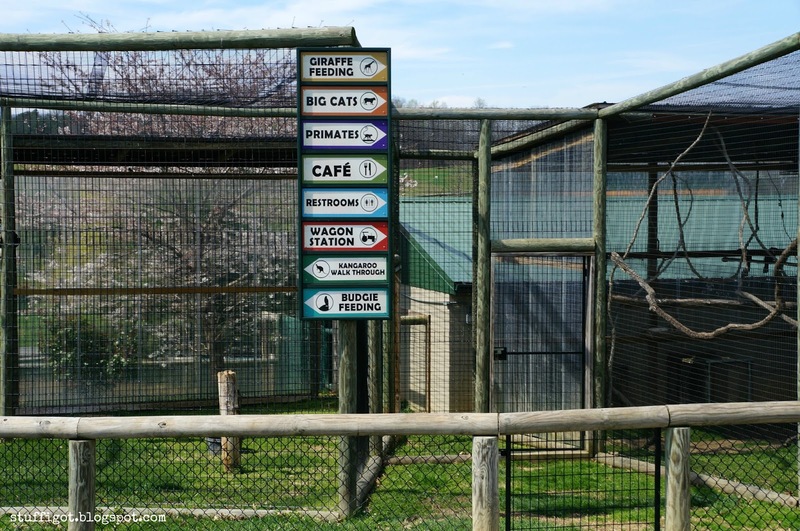 The animals are all ready and waiting for you! They come right up to your vehicle, expecting you to feed them. We bought two buckets of food, but none of the kids wanted to do the feeding. I was too scared and wanted to take pictures. So, my husband ended up doing all the feeding -- while he drove! 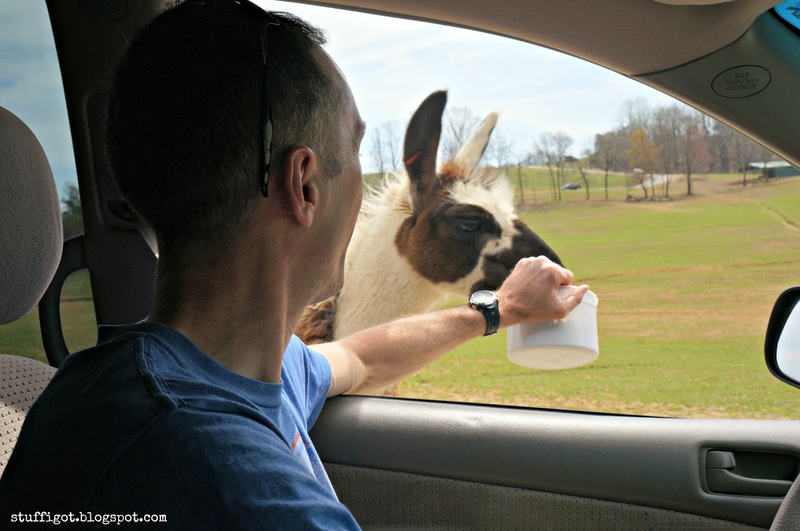 This llama wanted some food, but I kept my window up. My husband feeding a llama. 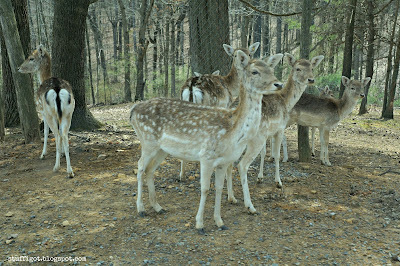 When you feed the animals, they sometimes won't stop eating. 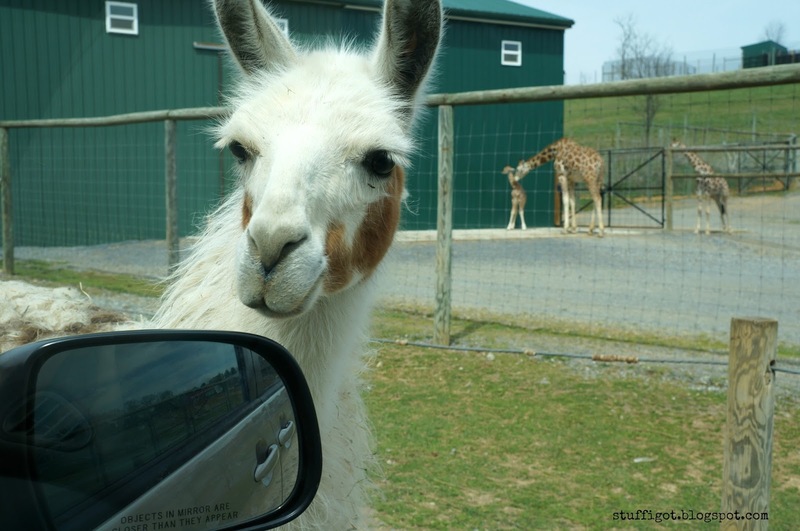 You have to kind of drive away slowly, being mindful of other cars and animals on the road. He didn't want to stop eating. The animals can be kind of sneaky, sometimes. If you don't keep a good grip, they'll try and steal your bucket! This guy finished off one of our buckets. You're free to feed and pet the majority of the animals in the park. 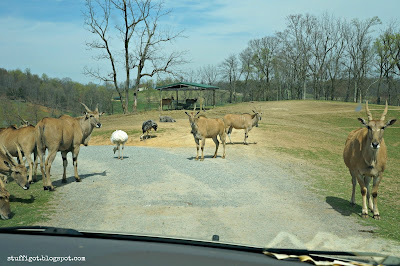 You're not supposed to feed, pet or touch the zebras, bison or Watusi cattle. 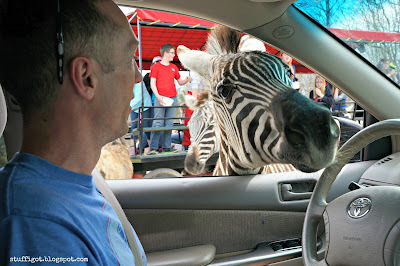 But, this one zebra wanted some food from us! My husband's favorite animal to feed was the deer. They were the least likely to try and steal your bucket. 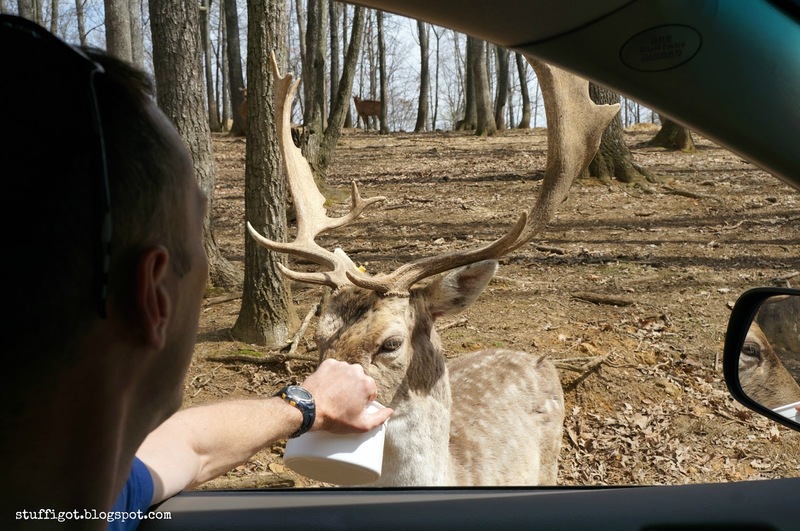 Not every animal comes up to you. Others just kind of chill. 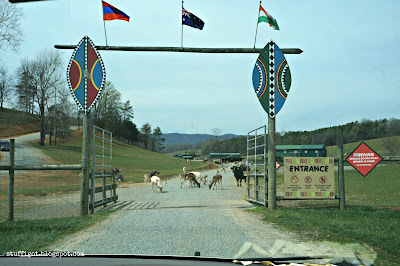 We also didn't feed every animal we passed. The two buckets of feed were plenty to last us the entire length of the safari. But, if you have more than one person feeding, you probably would want to get more. 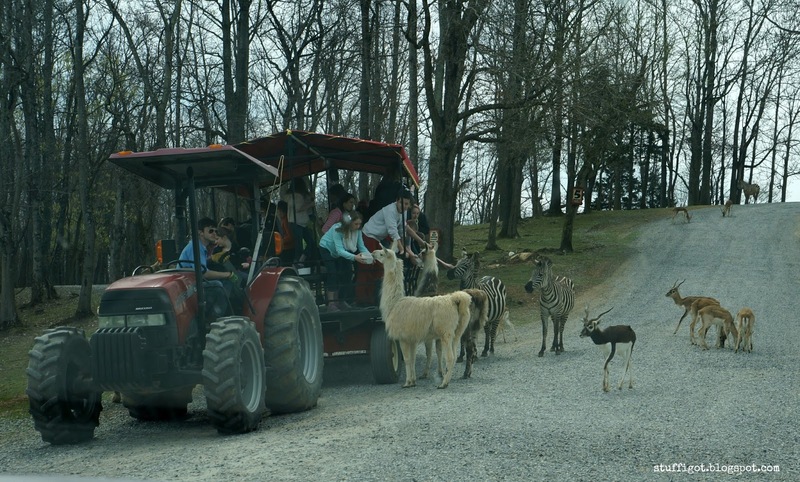 For an additional fee, the Virginia Safari Park also offers wagon rides. 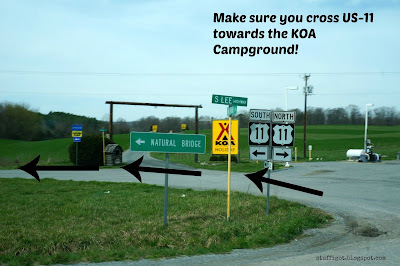 They're offered on weekends from mid March to mid June, and then daily fro mid June to Labor Day. After Labor Day, they're once again offered only on weekends until Thanksgiving. The wagon rides are $6.50 per person and are first come, first serve. You can go on a wagon ride around the park, for an additional fee. Once you've made your way around the safari, you can park your car near the Gift Shop. We didn't go in (souvenirs for four kids can get expensive! 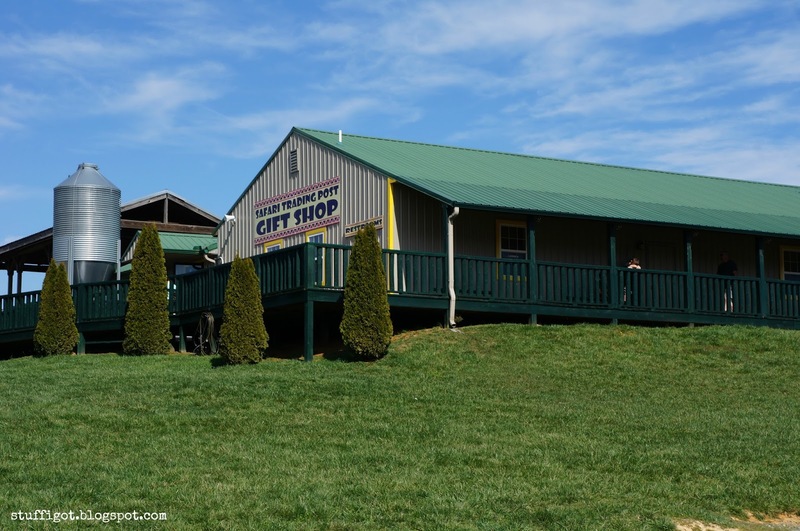 ), but you can purchase gifts, food, more animal feed, and wagon ride tickets at the Gift Shop. There are also restrooms there. 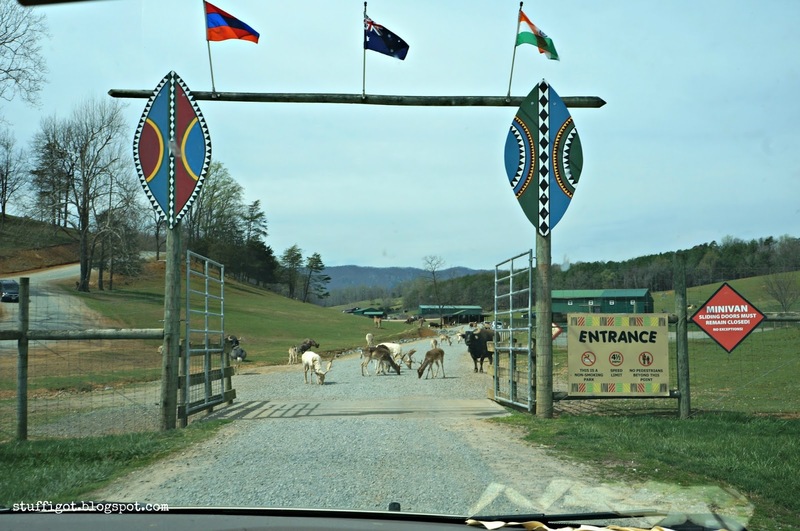 Included in the admission, is access to the Safari Village. 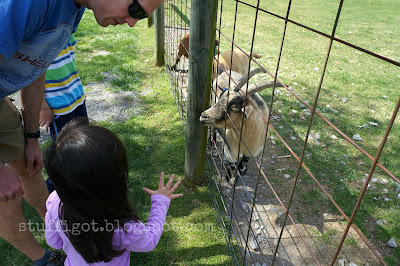 Here, you can walk around and visit a petting area, with goats and pigs. You can also see monkeys, tigers, kangaroos, tortoises, and other animals. 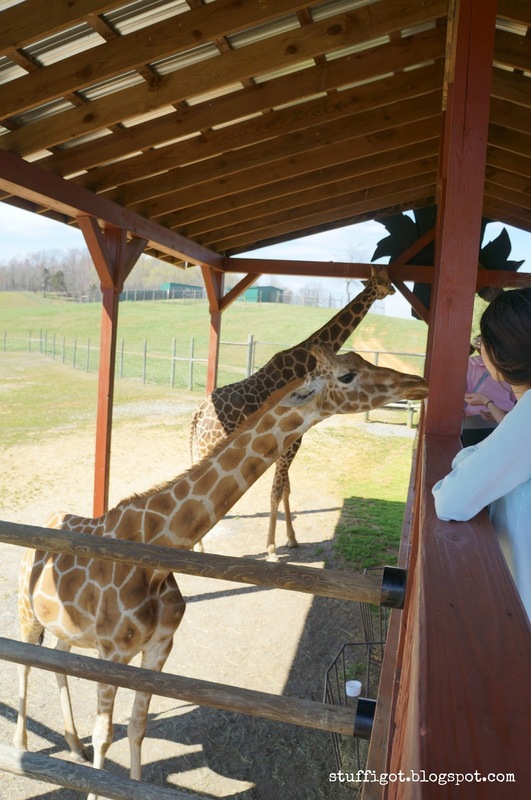 You can even feed giraffes. 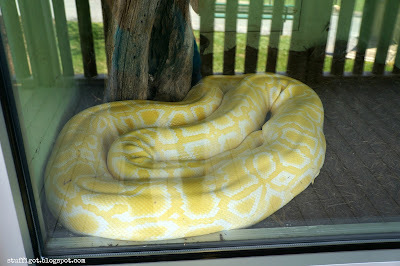 Make sure to stop by the Reptile House. 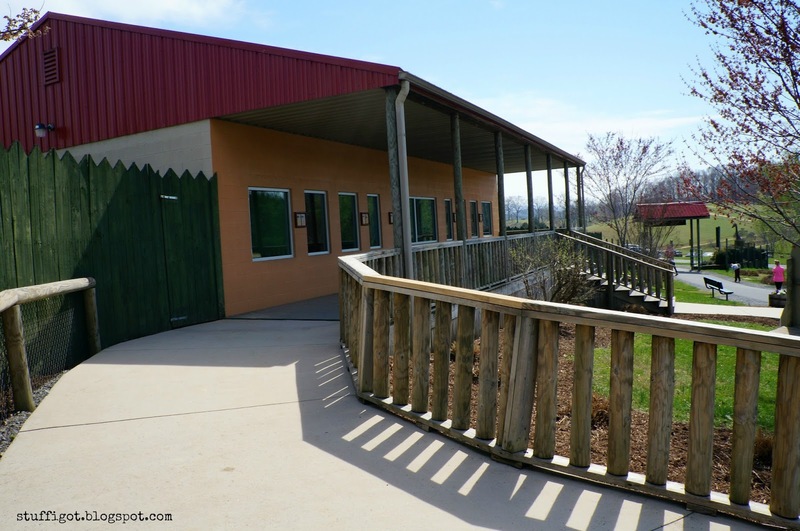 My kids enjoyed seeing the snakes and armadillos. In the Safari Village, there's also a little cafe, the Watering Hole Cafe. 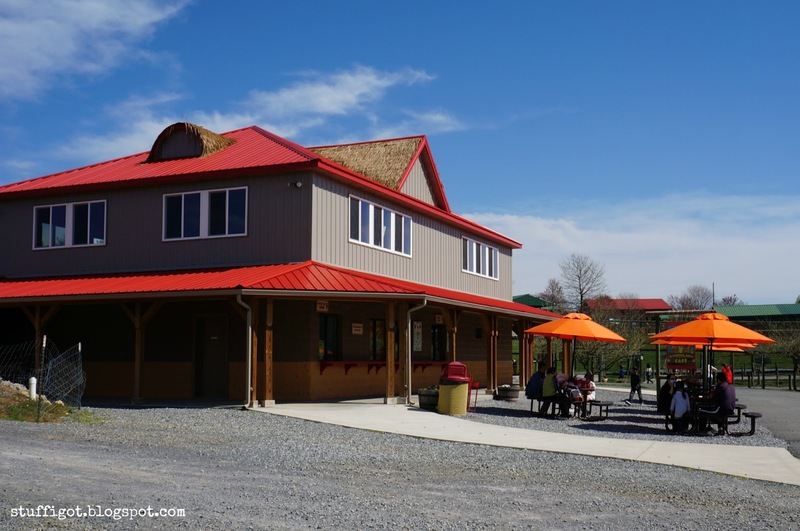 You can buy lunch or snacks there. We visited later in the day, so it was closed for us. Their hours vary, depending on the month. Make sure to check their website for their current hours. Overall, we had a lot of fun. When my two-year-old sees the pictures from our trip, she always asks to go back. She really liked seeing all the animals. 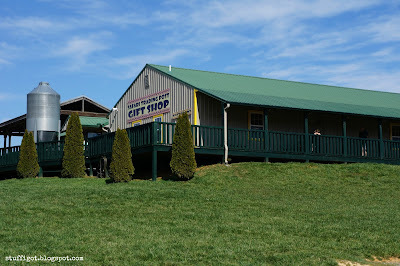 While in the area, we also visited Natural Bridge Park. I'll be posting a review on that. Check back soon!